Puzzle Bobble Universe for the Nintendo DS is a truly remarkable sequel to one of the most popular video games of the past two decades. The game continues its history by providing you with arguably the best puzzle based game of all time and it really does take every ounce of you skill to do well within it. The graphics are very smooth running and eye catching which makes the game that little bit more special. 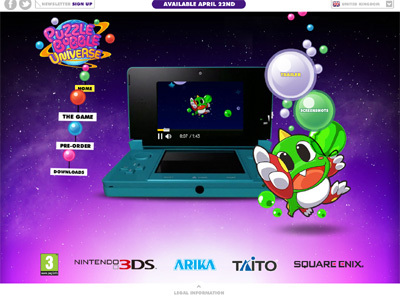 We have also compiled a Review System for this, of which Puzzle Bobble Universe is Rated as Five Stars, the highest possible score available from the Game Review Team.